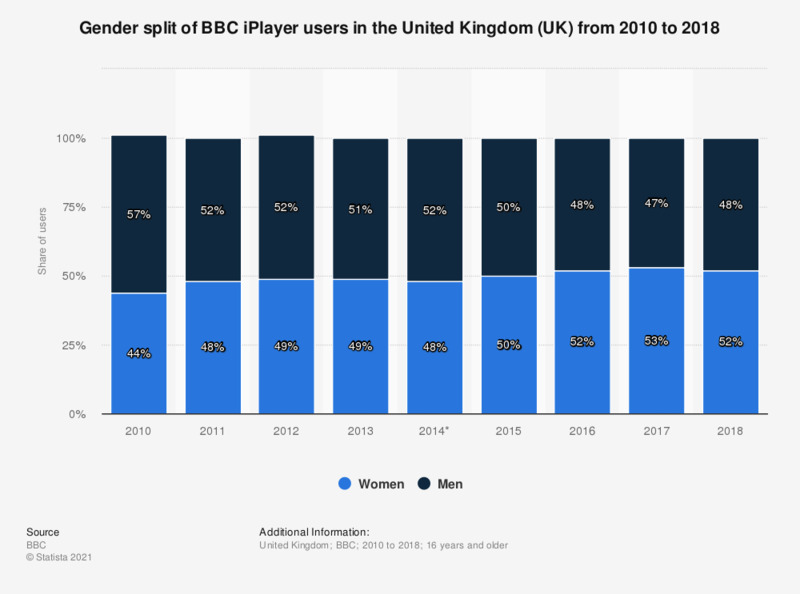 This statistic represents the gender distribution of BBC iPlayer users in the United Kingdom (UK) from 2010 to 2017. In 2016, 52 percent of users were women. This share of female users increased to 53 percent of viewers in 2017. Everything On "Online video in the United Kingdom (UK)" in One Document: Edited and Divided into Handy Chapters. Including Detailed References. Home video market in the U.S.
How many people were watching video(s) with you?